Set in contemporary Paris and London, and the American colonies during the upheaval and unrest that exploded into the Revolutionary War, a sweeping story that braids together the past and present. On the battlefields of the American Revolution, Matthew de Clermont meets Marcus MacNeil, a young surgeon from Massachusetts, during a moment of political awakening when it seems that the world is on the brink of a brighter future. When Matthew offers him a chance at immortality and a new life, free from the restraints of his puritanical upbringing, Marcus seizes the opportunity to become a vampire. But his transformation is not an easy one and the ancient traditions and responsibilities of the de Clermont family clash with Marcus’s deeply-held beliefs in liberty, equality, and brotherhood. Fast forward to contemporary London, where Marcus has fallen for Phoebe Taylor, a young employee at Sotheby’s. She decides to become a vampire, too, and though the process at first seems uncomplicated, the couple discovers that the challenges facing a human who wishes to be a vampire are no less formidable in the modern world than they were in the 18th century. The shadows that Marcus believed he’d escaped centuries ago may return to haunt them both – for ever. A passionate love story and a fascinating exploration of the power of tradition and the possibilities for change, Time’s Convert will delight fans of the All Souls trilogy and all readers of magic, the supernatural, and romance. Time’s Convert tells how Marcus met Matthew and became a vampire during the American Revolution. There’s a current day narrative in which Phoebe, Marcus’s mate, is becoming a vampire, and a current narrative featuring Matthew and Diana, who have settled into their life as partners and parents to twins who begin to display magical abilities. I really enjoyed they story of Marcus as a young man, the struggles at home, his eventual flight and joining the army, and the historical detail. His struggles in his human life, dealing with an abusive father and living in fear for his mother and sister were well done. 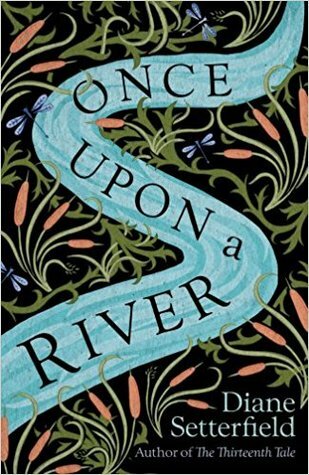 After a fateful meeting with the Chevalier de Clermont, Marcus begins a new and very different life, leaving behind his family and the home he grew up in, having ensured that his mother and sister should be a little safer. His travels take him far and wide, meeting all manner of historical figures, and I really enjoyed the time he spent in France once he was a vampire. It’s a steep learning curve for Marcus, a young man who believed in revolution and freedom, and it’s interesting to read how a man of this mindset deals with the rules of his new life. We follow him to New Orleans eventually, where things start to spiral out of control. Interspersed with Marcus’s memories of his past is Phoebe’s transformation into a vampire, and the supervised existence she must endure before she and Marcus can be together again. This narrative was enjoyable too, as Phoebe is reborn and must relearn everything she knew. She has to master movement, to mirror the way a human would move, and learn how to feed, and also how to include her human family into her new situation without being a danger to them. Matthew and Diana and their twins Becca and Philip provide another interesting story, and I really hope there will be more appearances from the twins in future, either in their own book or incorporated into another story the way they were here. Becca could be really feisty, and Philip and his power will be interesting to read more about. This tale felt a little more of a drawn out affair then previous novels set in this world as for the most part it is memories and reminiscences without a massive sense of danger or threat in the present timeline but it was an entertaining read nonetheless, with Marcus experiencing plenty of life after his own rebirth. I hope there will be more books in this series, featuring other characters previously encountered throughout the All Souls trilogy. Happy to hear you enjoyed this – I love this series and this addition is high on my short-term TBR.